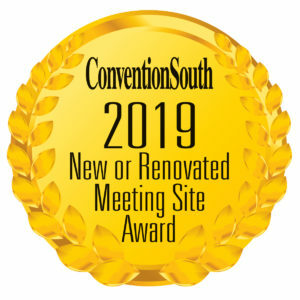 The editor’s picks are in for ConventionSouth’s Annual Top New or Renovated Awards for 2019. After hundreds of nominations and an editorial review, this is our elite list of the top 79 new or renovated meeting sites and destinations in the South. Congratulations to our winners and remember to look for them within our 2018 December Annual Awards Issue.